Cannabissearch.com Buzz Rating: A moderate buzz slowly builds to a powerfully sedating effect that can leave many users stranded on the couch for hours on end. This is a serious munchie-inducer, so having food nearby is strongly recommended. Flatbubble has large, somewhat dense nugs that emanate a pungent aroma of roses, berries and earth. Flavors include blueberries, candy and hash. These buds have a fairly sticky texture and go great when ingested through a vaporizer. Look for eighths of this bud to require around a $30 to $40 donation at most dispensaries in the United States. Flatbubble does best in outdoor environment above 40 degrees latitude. During the final weeks of flowering, growers shouldn't be surprised to see the calyxes turn a deep purple/lavender color. Stake support may be required with some indoor gardens, to prevent the colas from breaking. 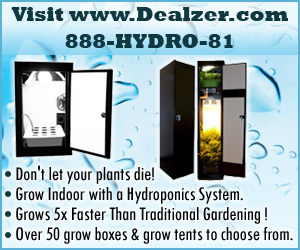 Both soil and hydro cultivation methods have proven successful, as has SoG gardens. Expect average yields of above average potency with Flatbubble. Seeds are only available in non-feminized form from the breeder. Flatbubble 0 out of 5 based on 0 ratings. 0 user reviews.